This 2018 Jeep Wrangler Unlimited Sahara is proudly offered by Kendall DCJR Soldotna Want more room? Want more style? This Jeep Wrangler Unlimited is the vehicle for you. This vehicle comes with 4WD for better traction on unstable surfaces, like snow and dirt to give you the edge over anything you might encounter on the road. You can finally stop searching... You've found the one you've been looking for. Just what you've been looking for. With quality in mind, this vehicle is the perfect addition to take home. Kendall DCJR Soldotna is excited to offer this 2018 Jeep Wrangler Unlimited. Want more room? Want more style? This Jeep Wrangler Unlimited is the vehicle for you. This Jeep Wrangler Unlimited Sahara comes equipped with 4 wheel drive, which means no limitations as to how or where you can drive. Different terrains and varying weather conditions will have no effect as to how this vehicle performs. This is about the time when you're saying it is too good to be true, and let us be the one's to tell you, it is absolutely true. There is no reason why you shouldn't buy this Jeep Wrangler Unlimited Sahara. It is incomparable for the price and quality. 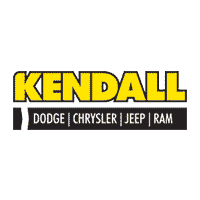 Kendall DCJR Soldotna is excited to offer this 2019 Jeep Wrangler Unlimited. This Jeep includes: REMOTE PROXIMITY KEYLESS ENTRY Keyless Start Power Door Locks Keyless Entry BODY COLOR FENDER FLARES *Note - For third party subscriptions or services, please contact the dealer for more information. * Want more room? Want more style? This Jeep Wrangler Unlimited is the vehicle for you. There's a level of quality and refinement in this Jeep Wrangler Unlimited that you won't find in your average vehicle. When Jeep created this vehicle with 4 wheel drive, they immediately enhanced the performance ability. Easily switch between two and four wheel drive to take advantage of the improved steering and superior acceleration. This 2019 Jeep Wrangler Unlimited Rubicon is proudly offered by Kendall DCJR Soldotna This Jeep includes: MOPAR ALL-WEATHER FLOOR MATS Floor Mats REMOTE PROXIMITY KEYLESS ENTRY Keyless Start Power Door Locks Keyless Entry BODY COLOR FENDER FLARES ENGINE BLOCK HEATER *Note - For third party subscriptions or services, please contact the dealer for more information. * Want more room? Want more style? This Jeep Wrangler Unlimited is the vehicle for you. Pull up in the vehicle and the valet will want to parked on the front row. This Jeep Wrangler Unlimited is the vehicle others dream to own. Don't miss your chance to make it your new ride. With 4WD, you can take this 2019 Jeep Wrangler Unlimited to places roads don't go. It's all about the adventure and getting the most enjoyment out of your new ride.